Lady Elaine fears that all her friends will forget about her in their intense enthusiasm for Harriett Elizabeth Cow, a newcomer to the neighborhood, until Lady Elaine realizes that she is special in her own right. About Fred Rogers (Author) : Fred Rogers is a published author of children's books. 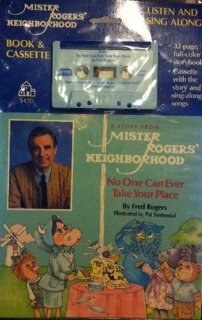 Some of the published credits of Fred Rogers include Ser Vecinos (Shakti for Children), Be My Neighbor, Stepfamiles: Let's Talk about It.